We created this Bunny Photo Frame as a sponsored craft for Oriental Trading. The full details and instructions for the project can be found on their idea’s website at Fun365.com. If you are looking for a fun and simple Easter gift to make for parents or grandparents, this bunny photo frame can’t be topped. Not only is it adorable, but using a child’s photo for the bunny face makes it a keepsake for them to treasure for years to come. 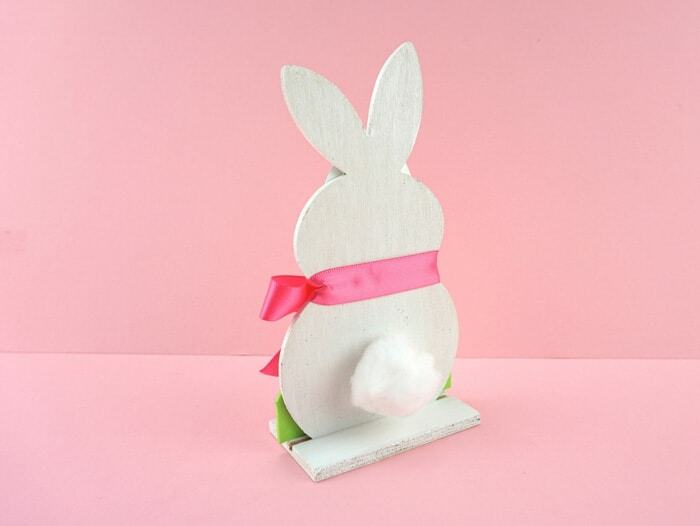 The secret behind this cute photo frame gift is wooden DIY Bunny Stand-Ups from Oriental Trading. The stands come unpainted and ready for you to personalize however you want. 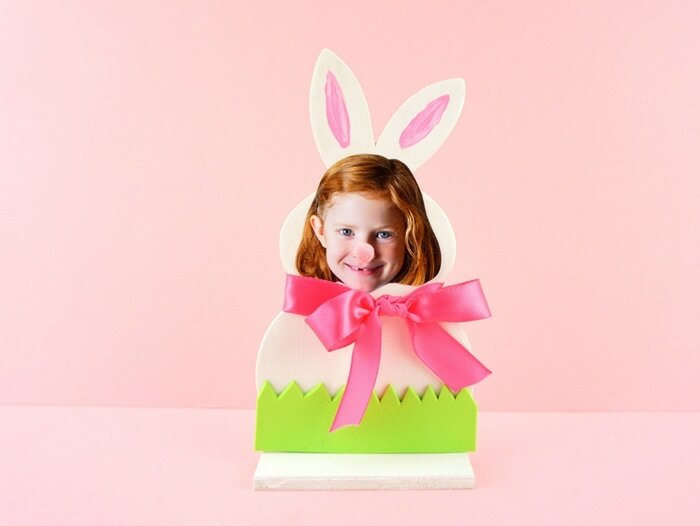 We, of course, added the personal touch of a child’s photo in the center of the bunny face which makes it a delightful personalized Easter gift for someone special. Adding the cute little pom-pom bunny nose and fluffy bunny tail on the back of the photo frame is the perfect finishing touch to this adorable Easter gift. 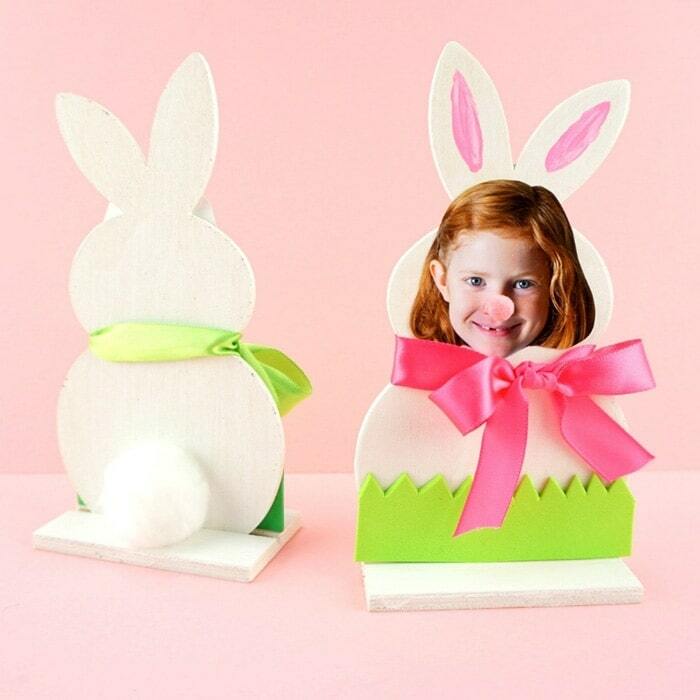 You can find all of the materials you need to make this bunny photo frame right at Oriental Trading including the ribbon, pom-poms and paint. You’ll find that the bunny stand-ups come in sets of 12 so you can make several bunny photo frames as gifts. 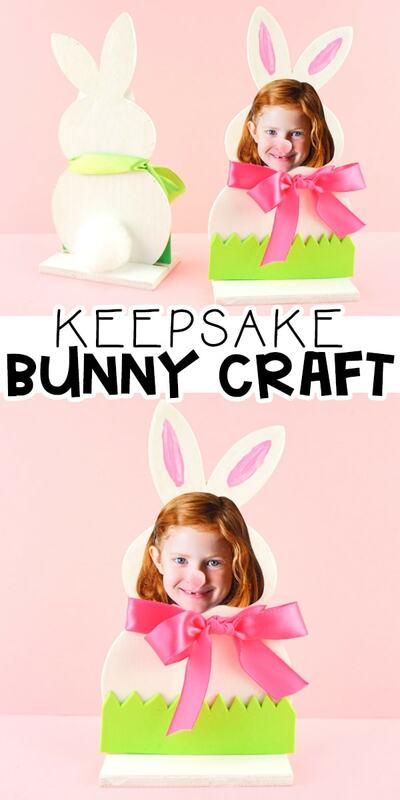 You can also use them at preschool, a play date or church for several children to make the cute Easter craft. 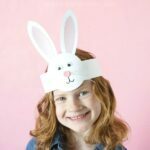 Head over to Fun365.com for the complete supply list and detailed instructions for how to make these oh so cute bunny photo frames for Easter. 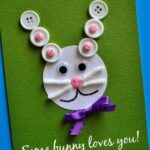 While you are there you can browse through their collection of more easy Easter crafts for kids and adults. They also have amazing ideas if you are planning an Easter party this year. In fact, our bunny photo frame would make a great make and take craft for a cute Easter party. We also recently shared how to make this simple Easter paper plate craft. It’s super easy for kids to make and play with! 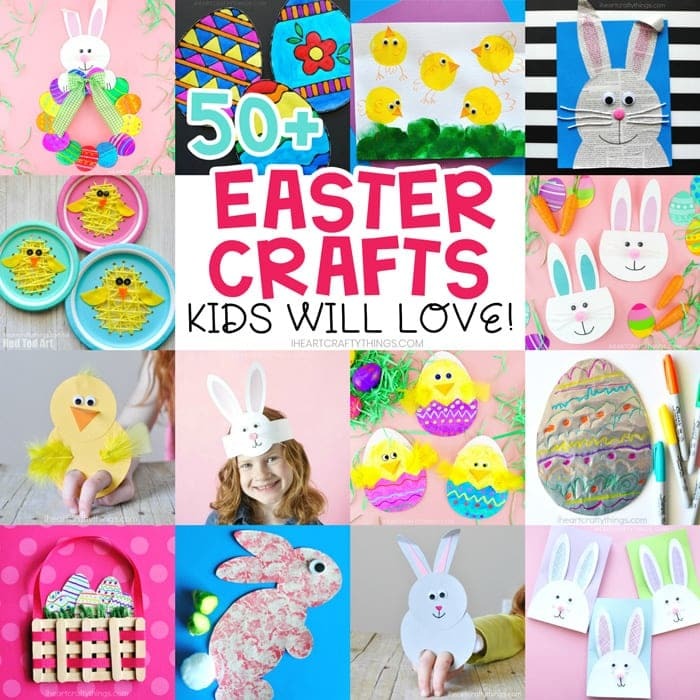 Check out this list of over 50 fun and simple Easter crafts for kids. We have bunnies, chicks, Easter egg crafts, more paper plate Easter crafts, homemade Easter cards and so much more! 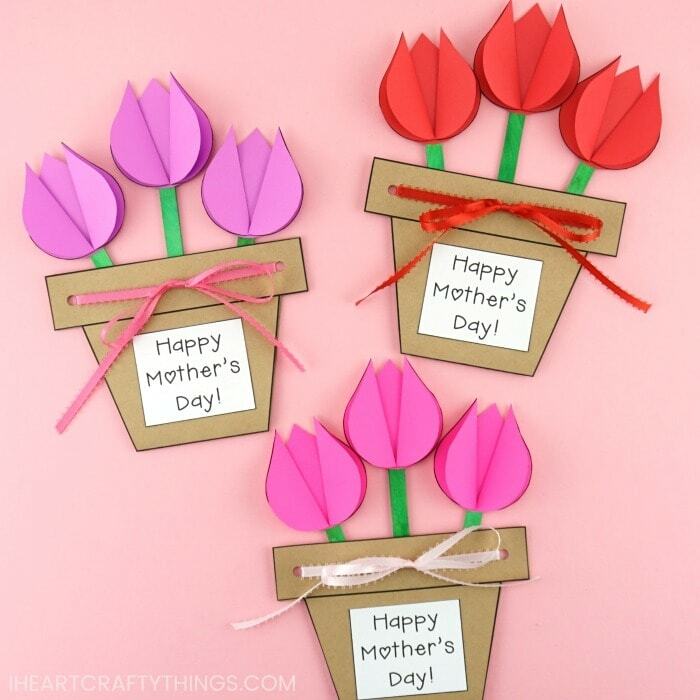 Flower crafts are another great gift for Mom and Grandma. This flower pot Mother’s Day craft will make the recipient smile from ear to ear. 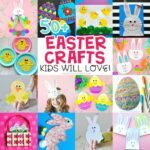 « Easy Easter Paper Plate Crafts -Fun Easter puppets for kids!